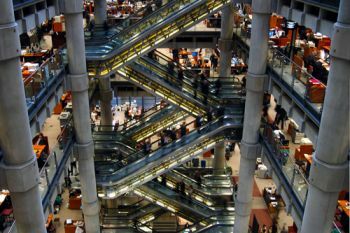 A financial market that helps shift risk from pension plans and annuity providers to the capital markets has been invented by an academic from City University London. As people live longer those who provide pensions and annuities face higher costs, as a result of "longevity risk". This is calculated at $25 trillion globally. Previously this cost was borne by companies and insurance companies, but they are increasingly unwilling to assume the risk. Longevity risk threatens the very existence of pension and annuity providers. 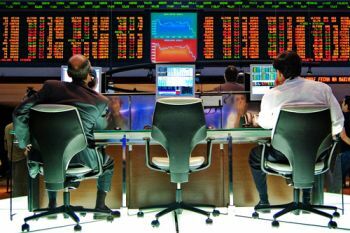 To help them, Professor David Blake from City University London invented the Life Market, which makes use of financial markets to trade longevity swaps and bonds. These products benefit insurers, pension funds, but also ordinary pensioners and annuitants who would lose out if these firms went bust. The problem with life insurance and pensions is that it is hard for providers to predict the trends in longevity many years ahead, which potentially means that they have under-priced their products, and could suffer financially. Professor Blake and William Burrows from Annuity Line came up with the idea of issuing longevity bonds (LBs). Their research suggested that, by holding such a bond, pension plans and annuity providers could hedge the systematic longevity risk they face. French bank BNP Paribas tried, but failed, to issue a LB on behalf of the European Investment Bank in 2004, which prompted further research by the Pensions Institute that was established at Cass Business School in 2004 under the leadership of Professor Blake, and carried out with other academics and practitioners from JP Morgan and the Prudential UK. They examined alternatives to LBs as hedging instruments and the research project soon turned to developing the Life Market, in which capital markets investors, such as sovereign wealth funds, could buy the risk. To make this possible, LifeMetrics Indices were designed, which predict longevity and mortality rates in England and Wales, the USA, Holland and Germany. Professor Blake then looked at the possibility that governments could issue LBs, to establish a price for longevity risk. The final initiative was to help educate the market further by increasing awareness of longevity risk and the role of the capital markets in providing a potential solution. In 2005, Cass researchers established the International Longevity Risk and Capital Markets Solutions Conference series, which is now held annually, to bring together academics, industry practitioners and policy makers to discuss these issues. LifeMetrics Indices were launched by JP Morgan and Cass in March 2007, and the following month the world's first longevity swap was executed, between Swiss Re and the UK annuity provider Friends Provident, involving Friends Provident's £1.7billion book of 78,000 pension annuity contracts that had been written between July 2001 and December 2006. A longevity swap is where an annuity provider pays an insurer a fixed annual amount and the insurer pays the actual amount of annuities to the pensioners. The market is now working well, and there have now been more than 25 swaps worth more than £50billion in the UK since 2007. There has also been one international longevity swap, valued at £12billion. There is growing support for the government issuance of LBs of the type designed by the Pensions Institute. The World Economic Forum, in its 2009 report Transforming Pensions and Healthcare in a Rapidly Ageing World, argued that: "Given the on-going shift towards defined contribution pension arrangements, there will be a growing need for annuities to enhance the security of retirement income. Longevity-Indexed Bonds and markets for hedging longevity risk would therefore play a critical role in ensuring an adequate provision of annuities"
Professor Blake's work has contributed to significant success in the use of swaps to hedge longevity risk, which not only reduces costs for the insurance and pensions industries but also helps protect pension plan members from the risk of pension companies failing. Blake D. & Burrows W. (2001). Survivor Bonds: Helping to Hedge Mortality Risk. Journal of Risk and Insurance, 68(2), 339-348. Cairns A.J.G., Blake D., & Dowd K. (2006). Pricing Death: Frameworks for the Valuation and Securitization of Mortality Risk. ASTIN Bulletin, 36(1), 79-120. Coughlan G.D., Khalaf-Allah M., Ye Y., Kumar S., Cairns A.J.G., Blake D., & Dowd K. (2011). Longevity Hedging 101: A Framework for Longevity Basis Risk Analysis and Hedge Effectiveness. North American Actuarial Journal, 15(2), 150-176.